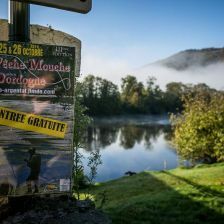 With its impressive network of lakes and rivers, the Dordogne valley is without doubt the destination for fishing. 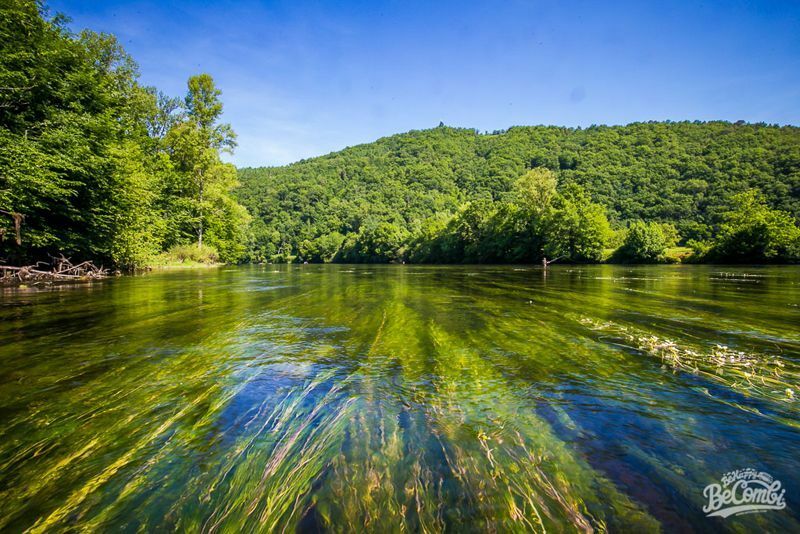 The Dordogne is enrolled under UNESCO for protection of some rare and fragile wild animal and plant species. 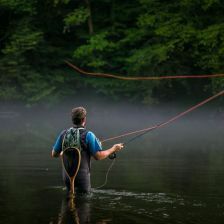 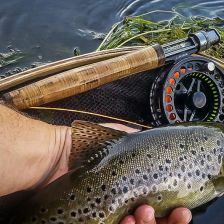 It is also known worldwide for fly fishing. 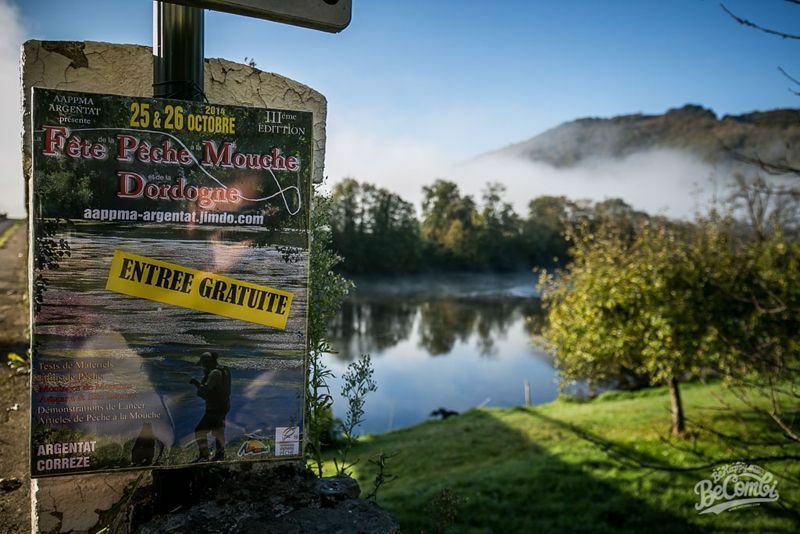 The Dordogne is considered one of the most important rivers in France for trout and grayling fishing. 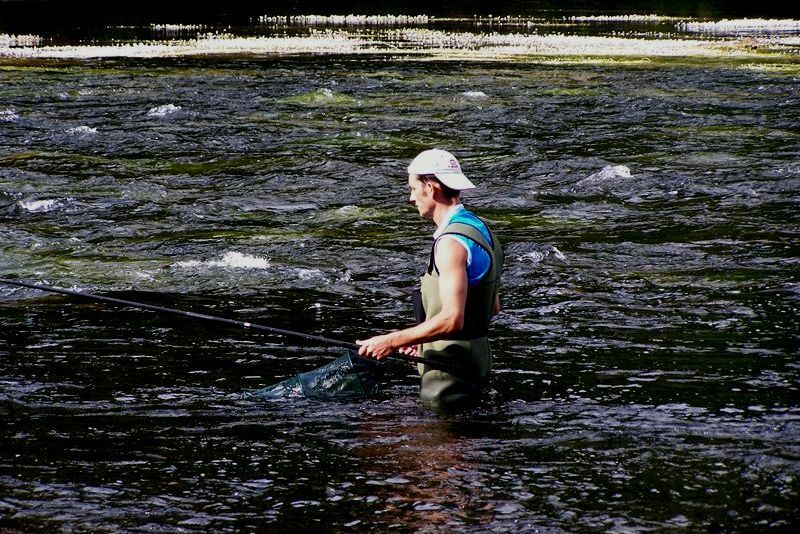 Beautiful, panoramic views and fine quality fish are there for you to savour. 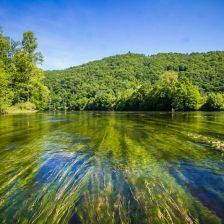 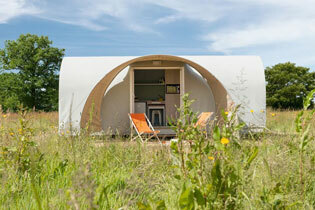 The Soleil d'Oc campsite is situated on the left bank of the river Dordogne, reputed for its clear water, with fishing access along 40km of this mythical river. 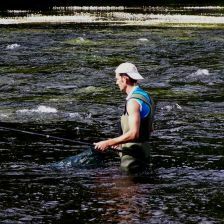 The campsite is certified as a fishing lodge which means that it is guaranteed to serve the fishermen. 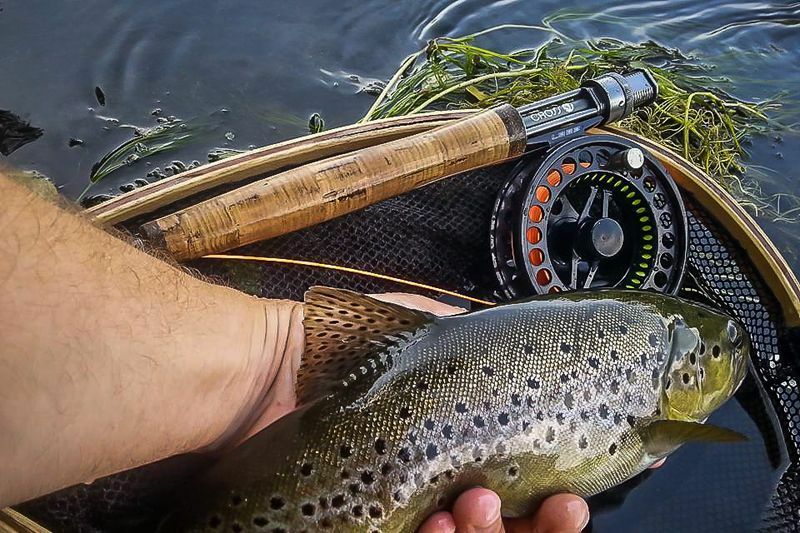 This river is renowned for its secondary category status due to its fish stock of trout, salmon, grayling and char. 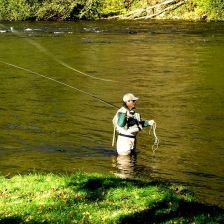 Fishing in this water is open from mid march to mid November. 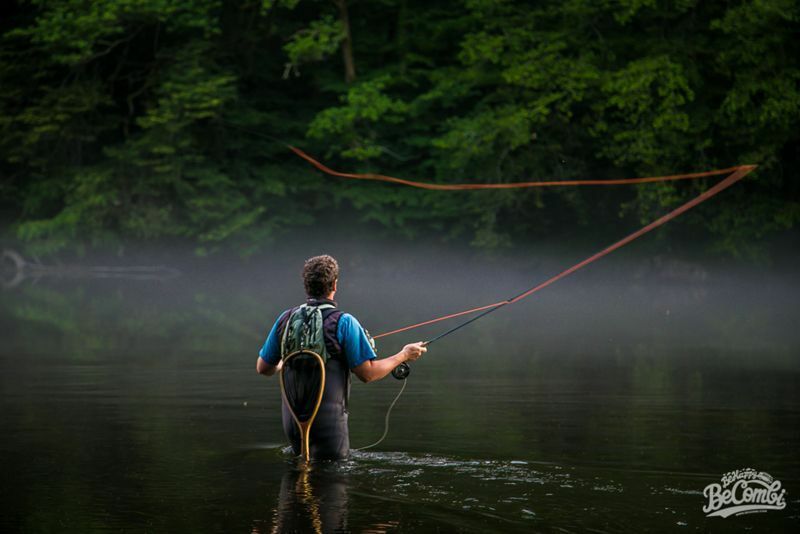 Different parts of the river are for various types of fishing; fly, worms, or spinning with a lure. 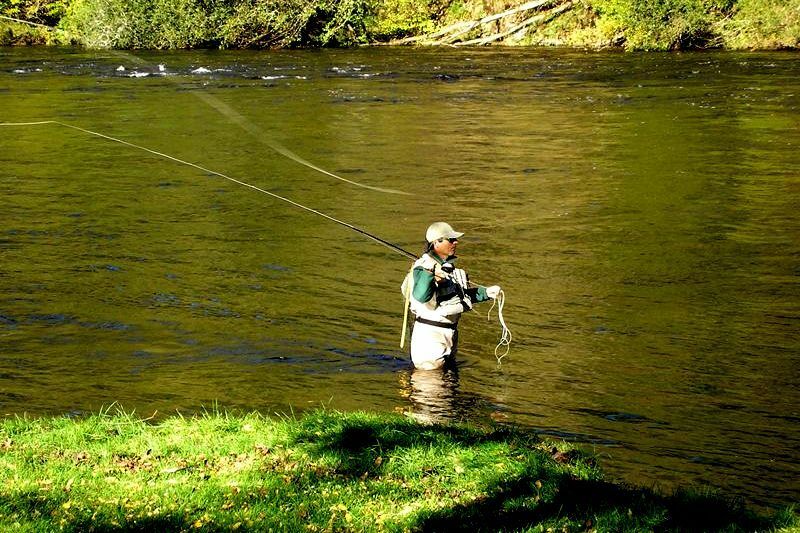 In the river depths on the opposite side to the campsite its possible to catch white fish such as pike or eels. 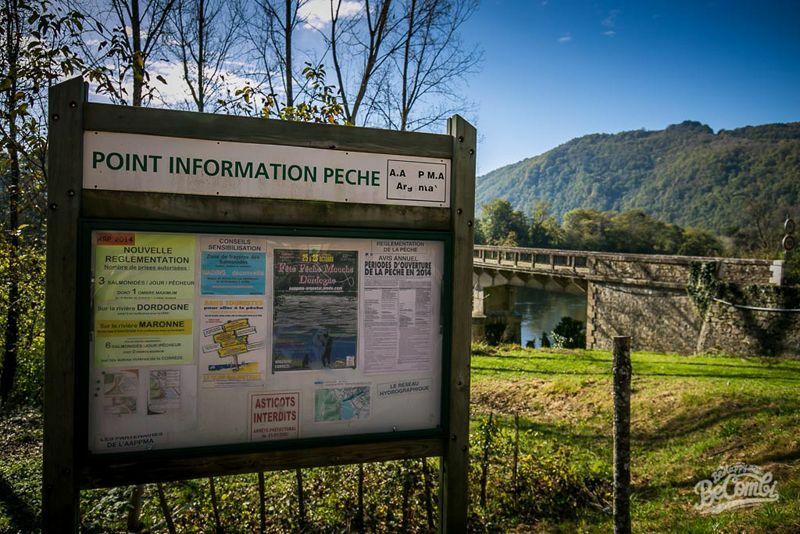 Different fishing permits can be obtained from the cafe at 500m from the campsite. 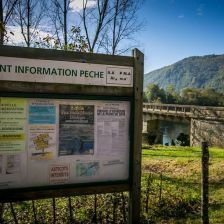 Don't hesitate to telephone on 00 33 5 55 28 84 84 for last minute information relating to water levels or to reserve your lodgings for a single person, a group or club booking.